In our Alphabet of Faith series we come to the last letter of the alphabet, and we conclude with a challenging letter! 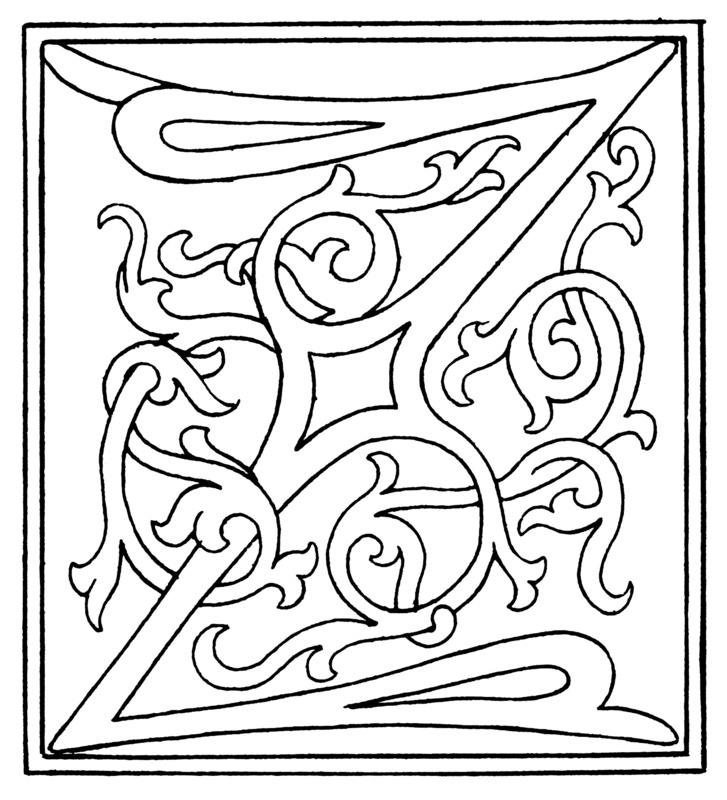 There are a great many Biblical characters with the letter Z, but we haven’t been doing characters. What to choose? Well, the choice was obvious. Zion refers to the main hill upon which the city of Jerusalem is built, but through history it’s become synonymous with the temple area and even the entire city of Jerusalem. The city was destroyed, as predicted by Jesus, in 70 A.D. but has since been rebuilt. Spiritually, Zion symbolizes the presence and rule and reign of God here on earth, and the worship of God too. Diann and I have been to Zion. I will say it was an emotional experience to drive up to the walls of Jerusalem, of Zion, in our tour bus. Though the walls are not the original walls they still look ancient and they’re built on Mount Zion so the scene was definitely moving to view. There is no doubt there never has been or ever will be a more sacred or valuable piece of real estate in all the world. Until Christ returns Mount Zion, Jerusalem, will be the site of conflict. Zion is not only called Jerusalem but also The Holy City. Many make a pilgrimage there, as Diann and I have done. And yet there’s no reason to do so. The Christian Faith is not centered in Zion or in any other geographical place. Jesus said to a woman He was chatting with at a well about whether you had to worship in Jerusalem, “Yet a time is coming and has now come when the true worshipers will worship the Father in spirit and truth, for they are the kind of worshipers the Father seeks. God is spirit, and His worshipers must worship in spirit and in truth.” (John 4:23-24) Zion was where the temple was located, but no more! God’s temple is anyone who invites Him to take up residence in him or her. We are pilgrims who are not on a pilgrimage to a better geographical location, Zion in the Holy Land, but on a pilgrimage to a better state of being, of being more the people God wants us to be! In a real sense the “new Zion” is you and me when we open ourselves up to God’s presence and rule and reign in our lives. There’s no place to go where you can find God more than where you are right now! 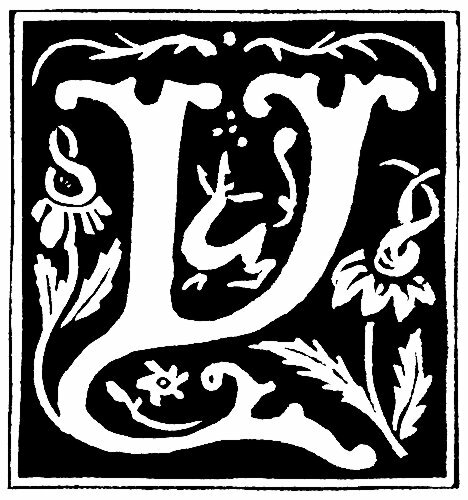 In our Alphabet of Faith series we come to another difficult letter for which to find a suitable word, the letter Y (they seem to have gravitated to the end of the alphabet). Not many choices here, but we only need one word and the obvious one is a name for God. When we read the name God in most translations of the Old Testament it’s usually the word Elohim. This is the general, the generic, name for God. But God gave Himself a special name by which His people could call Him, sort of like a nickname that someone only allows close acquaintances to use. This name God gave Himself is Yahweh. Actually, it’s best to spell it YHWH, all consonants, no vowels. The people of Israel thought the name so sacred they didn’t want to pronounce it out loud so they got rid of the vowels, making it unpronounceable. Most often they substituted Adonai, meaning Lord. By jumbling up the consonants from YHWH and the vowels from Adonai some older translations came up with the variation Jehovah. Confused yet? Most of our more modern translations use the title LORD with all capital letters when Yahweh is the name, which is over 6,800 times in the Old Testament. God probably gave His new name Yahweh for the first time to Moses. The name emphasizes God’s nearness, His very present presence! It’s His covenant name (His agreement to be God if they will be His people). The name Yahweh is a name of intimacy and closeness. God wants us to know He identifies with us. He has entered into life with us. He’s not some deity in some sky box who amuses Himself by watching us struggle away down here. He’s right down here with us. There is an immediacy about Him; He’s right here, right now! He’s all here! He is more present, more fully aware of what’s going on with us and around us than we are, and He cares deeply! That’s Yahweh for you, that’s the LORD for you! Yes, for YOU, and ME too! How about us living the day like we believe that? As we make our way through the Alphabet of Faith series we finally come to the most difficult of the letters, X. I looked through my Bible concordance but was disappointed to learn that Xerox isn’t in the Bible (just kidding). I had to check out Frederich Buechner’s book, Wishful Thinking, which is an alphabetized sharing of words of faith that inspired me to do the same. Where Buechner usually has several entries for each letter he had only one for X and so I’m going to go with his choice. I remember a couple of Christmases ago I had our sign master at the church put something in our outdoor church sign to the effect of Don’t Leave Christ Out of Xmas. I got a call from the priest of Regina Coeli Catholic Church up the road from us. He humorously chided me, “You win!” I asked him what he meant. He explained he had his sign master put something on their outdoor church sign about Christmas and had used “Xmas” to shorten the message so it would better fit on the sign. He told me that he had instructed his sign master to remove it. “So you win,” he repeated. We both laughed about the incident. X also frequently marks the the location of something, like treasure on a treasure map. Then too, “crux” means cross, but also can mean a pivotal, decisive, or all important point. When you blend all of this together you have X standing for Christ and His cross, the pivotal and all important treasure of life. And what application does this have for you and for me right now? We people going about our day-to-day activities are more than ants going up and down their tunnel as we go up and down a building’s elevator. We are more than bees gathering pollen as we flit about gathering a salary. We are more than cows grazing on grass as we lean over our dinner plates eating our dinner. We are more than a cat curled up to sleep as we snuggle under the covers at night. Ours is so much more than an animal-like existence. We are the creature, you and I, who God became one of! As we face our own fallen and sinful nature He is the one who went to His cross to pay for that sin so we can be in a right relationship with Him now and forever. He wants to be the pivotal factor in our lives. No matter what else we treasure in life we can live, if we so choose, treasuring Him most of all! And this is good to do, for He is the final satisfaction. Map out your day. Plot where you are at this moment now. X marks the spot, the spot not only where you are right now but where Christ is right now! No matter what else is going on He can and should be the crux of the matter right here and now. Your life and mine can revolve around Him, be empowered by Him, be directed by Him, be filled with His love and peace and joy. When it comes to the great and grand meaning and purpose of life this is the crux of the matter! In our Alphabet of Faith series we’re making our way through the alphabet with a word of faith for each letter. This week we’re up to “W” in the alphabet. “He just adores that car of his.” “Her greatest delight is her grandchildren.” “He’s the greatest.” “She’s the best.” We use terms of endearment all the time for all kinds of situations. We adore, admire, affirm, and praise regularly and it feels good to do so. We could add another word to our list of terms of endearment, the word worship. I would argue the word “worship” is the highest term of endearment; that’s why it’s a word the Bible reserves for God. Whatever else we adore or worship must be done so with qualification, for nothing nor anyone is perfect, other than God. But when it comes to God we can worship Him without reservation! The psalmist declares, “Come, let us bow down in worship, let us kneel before the Lord our Maker…” (Psalm 95:6) We were made for worship, but not just the worship of anything; we were made to worship God – to adore, affirm and praise Him above all else. How does this reminder of the importance of worshiping God relate to the nitty gritty and daily “stuff” you and I are called to live? Picture a toddler on the floor playing with all the multicolored toys placed around him. Standing or sitting nearby is a loving parent or grandparent. Occasionally the child looks up at the adult and smiles, then gets back to his play. The child may seem to be enamored and engrossed by the toys, but it’s obvious the child is playing with the awareness of the loving presence above and nearby. This is how we can face each day and make our way through both the delights and challenges of each day. As we “play” at our work down here on the “floor” of daily living we can do so with the awareness that we have an infinitely awesome and wonderful Heavenly Father who is always present. It is His sacred presence that makes sacred all that we do as we deal with the “toys” of all that’s been placed around us! Worship is not only done when sitting in the lap of God in personal or group worship that’s intentional. Worship of God is something we can experience whenever and wherever we have an awareness of His amazing presence! 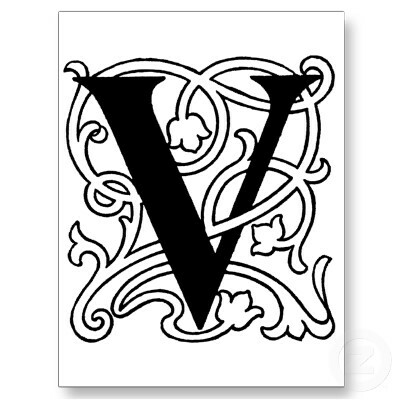 In our Alphabet of Faith series we’re up to “V” in the alphabet. Not a lot of choices here and so my choice came quickly to mind. Images of victory are “feel good” images. There’s the image of the lead race car or race horse crossing the finish line. There’s the image of the sports figure holding up the trophy in triumph. There’s the image of the coach being doused with Gatorade. There’s the image of lights flashing as a TV game show contestant wins. I suppose one reason we’re drawn to such images of victory is that we feel we haven’t had very many of our own victories. But maybe we have more victories than come easily to mind! How often through the day do countless things go reasonably well but, because of their frequency, go largely unnoticed? Little victories may not be worthy of a trophy or a Gatorade shower but they’re victories nevertheless. In my own case, so far this day, I managed to make pancakes for the grandchildren without burning them, came up with a reasonable number of insights from God’s Word for the weekend message, and had a couple of nice visits with those hospitalized. In our ongoing Alphabet of Faith series we’re up to “T” as our letter. I was going to do a different word but found myself jotting down notes about the word you find below, so I decided to go with what seems to be an impromptu leading. When I think about having faith in God or believing in God I find it helpful to insert the word trust in place of faith or believing. For some inexplicable reason to say I trust in God takes it to a more personal level than for me to say I believe in God or that I have faith in God. I’m thinking of two trapeze acrobats swinging from bent knees on two different swings high above the ground. The one lets go and sails through the air. The catcher grasps the one who has cast self into thin air. The catcher has to be trusted. God is to be our catcher! Ultimately each of us must ask ourselves the question, “Can God be trusted?” How we answer that question determines how we will live. The psalmist challenges us to “trust in him at all times, O people; pour out your hearts to him, for God is our refuge. Selah.” (Psalm 62:8) What results from putting such trust in God? We have confidence, we have peace, we have joy, we have resilience. How appropriate that “In God We Trust” appears on our coins and cash, something we often trust in more than God! It’s great to have “In God We Trust” appear on our currency, but is it imprinted on our minds and hearts? The letter “S” is next in our continuing journey through the alphabet in our Alphabet of Faith series. I’ve chosen two “S” words, that seem to stand in contrast to each other but in our daily walk of faith should be together. 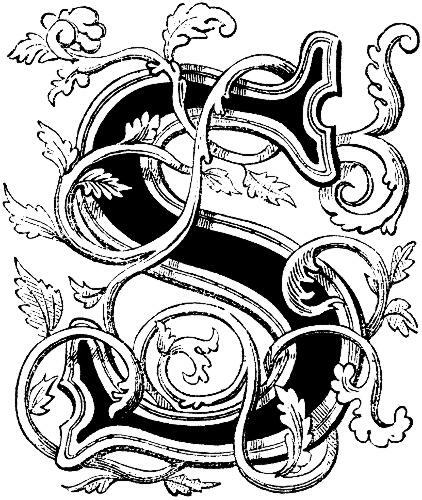 “S” is for SECULAR and SACRED. I usually write these Alphabet of Faith blogs from a Starbucks in Toledo. Today I’m in a very different location. I’m writing from a Trappist monastery near Dubuque, Iowa! I’m taking several days for my annual study leave; have always wanted to do a retreat/study leave at a monastery and this is the year. The monastery has approximately 30 monks in residence. Because they are cloistered they have separate living quarters and take their meals by themselves. They wear an off-white robe with a black covering that goes over the shoulders and down both the front and back with a hood in the back. I’ve had occasions to exchange a few words with several of the monks, but even among themselves they talk little. The monks of this particular Abby own over 2,000 acres of land that they farmed until recently, raising corn, cattle, and hogs. Now the land is leased out. One of the monks explained that many of them are getting too old to farm and there’s too few of them. In their heyday they had about 140 monks in residence. Currently their main form of income is making wooden caskets from trees on their own land. Frankly, it has been a challenge focusing on praying and reading when the temperature has been consistently in the upper 90s. My small room and the rest of the monastery (including the huge chapel) are not air conditioned. The only two rooms that have air conditioning are the dining hall and gift shop (I now eat my meals very slowly and frequently go shopping for gifts). I must also tell you that I brew Starbucks in my room every morning, though the monks’ coffee isn’t bad. A monastery is the epitome of the division between the secular and the sacred. The monks have taken vows that set them apart from normal day-to-day life. Their life is one committed to reflecting on Scripture, prayer, and worship. They have the various offices throughout the day and night when they all gather in the long chapel with its high wood ceiling for worship (6:30 am, 9:15 am, 11:45 am, 1:45 pm, 5:30 pm, 7:30 pm, and 3:30 am (the only one I’ve not attended, OK call me a spiritual wimp if you wish). Though the monks live a cloistered life that seems to have drawn a clear line between the sacred and secular, I’ve observed that they still have to do “secular” work like the rest of us. Brother Xavier makes great whole wheat bread, and I told him so. Another brother took me on a tour of their casket making operation (he showed me the casket he’s now working on). They may have a sacred life focused on scripture, prayer, and worship, but they still must tend to the ordinary details of life. Even in monastery life the sacred and secular merge. and doing it to please Him and for His glory. In our continuing journey through the alphabet in our Alphabet of Faith series the letter “R” is next. Lots of good choices here. My choice? Drum roll, please…..
“R & R” is what we often long for, some rest and relaxation. Rest for us must be an important concept to God too, He mentions the word in one form or another 267 times in His Word. We all get tired, and you know as well as I do that it goes way beyond a physical tiredness. We get tired of a great many things but in general terms we simply get tired of what we have to face and deal with every day. We can identify with the psalmist who declared, “I said, ‘Oh, that I had the wings of a dove! I would fly away and be at rest…’” (Psalm 55:6) But, as the late commentator Paul Harvey was fond of saying, we can run but we can’t hide. We have to stay and deal with what we have to deal with. If we can get away from it for awhile we usually still have to face it when we get back from our temporary escape. The yoke is a symbol of work. The oxen wore it, two of them together, to pull a plow or a wagon, or some other object that took work to pull. Jesus’ invitation to those of us who are “weary and burdened” is to find rest with Him, with Him as our yoke partner. He’s not inviting us to join Him on an extended vacation. He’s inviting us to work with Him. What Jesus is talking about is not rest from work but rest in the midst of work. “Work with me!” is His invitation, yes, even His plea! Whatever our work might be – a job, dealing with a difficult relationship, overcome an addiction, dealing with an illness, coping with a set back, struggling with some inner demons – He wants us to join Him in working out His amazing plan for us, a plan that dovetails with His great big scheme of things (sometimes called The Kingdom of God). This is a process, a learning curve. Jesus says as much. “Take my yoke upon you and learn from me, for I am gentle and humble in heart…” We learn, it’s not an instant kind of thing. But remember, He’s not a harsh or impatient teacher either. He says He’s “gentle and humble in heart.” That’s the kind of teacher I like, you too? I’m still “learning” what it means to be in the yoke with Jesus, to make my work His work and His work my work, to let Him carry the load while I still take my responsibility seriously and carry my part of the bargain. I told a few people the other day that I often cling to this verse for strength, claiming it as a promise when I feel weak and weary. Somehow, some way, the Lord’s rest is often not a rest from the work and difficulties in life but a rest in the midst of them. I don’t claim to fully understand this mystery of the yoke, I just cling to it! 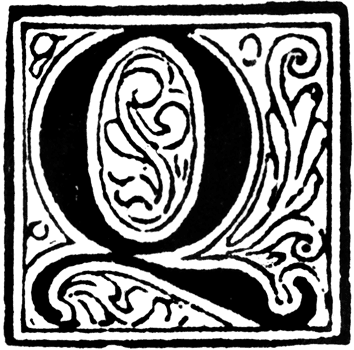 We continue our series on the Alphabet of Faith with “Q” as our letter of the week. And, yes, there’s not that much from which to choose. My choice among the meager options? Non-believers in God have few questions because they have no supreme authority to ask, there are no answers; things are the way things are. It’s we people with faith in God who have the questions. As a pastor I’ve often heard it said, “When I get to heaven I have a lot of questions for God.” I’m thinking that won’t be the case. When we see God face to face, experience His infinite love and wisdom, we won’t even care about our questions. If He were to say to us upon our entering heaven, “So, I understand you have some questions?” I think we’re going to reply, “Never mind.” More completely understanding God will be answer enough! There are, however, good questions to ask God, each and every day, right now, for that matter. “Lord, what do you want to teach me?” “Oh God, what would you have me say and do in this situation?” “Holy God, what am I blind to in myself that you want me to see?” Even a sanctified curiosity in a difficult set of circumstances can prompt an appropriately posed question of, “Lord, what in the world are you up to in this situation?” and then be open to His sharing a glimpse of His mysterious ways, if He so chooses to answer. The letter “P” is next in our Alphabet of Faith series. The choice was one of the easier ones as we’ve made our way through the alphabet so far. “All I want is a little peace and quiet,” people frequently exclaim. “Peace,” said many in the hippie generation of the 1960s. World peace is often the topic of prayer of the Pope and many others too. “Peace” is a familiar greeting throughout Biblical history. It’s even used as a term of dismissal. The Hebrew word for “peace” is the one Hebrew word (the language of the Old Testament) that almost everyone knows – “shalom.” The word “peace” appears 247 times in the NIV Bible so it’s a pretty important concept. No doubt about it; it’s an important word, to all of us too. Everyone wants peace. Everyone wants to have a peaceful day. I checked it out in my Biblical and theological dictionaries and they define peace as “completeness,” “soundness,” “well-being” and “wholeness.” It’s also defined as a freedom from strife, both internal and external. Jesus came “to guide our feet into the path of peace.” (Luke 1:79) In fact, Jesus was prophesied to be the “Prince of Peace.” (Isaiah 9:6) The ultimate peace is peace with God, something Jesus came to give us.